Scratch Day is May 9! Join the worldwide celebration of all things Scratch! Scratch Day is an annual, global network of events that celebrate the Scratch programming language and the young people who code and create with it – and this year it takes place Saturday, May 9! If you're local, there's a great event in Cherry Creek in Denver that we've joined in on in past years, and for a full map of events worldwide, or to host your own, check out MIT's Scratch Day site! Can't make it to a Scratch Day event? Dive into the amazing world of programming every day with the PicoBoard! 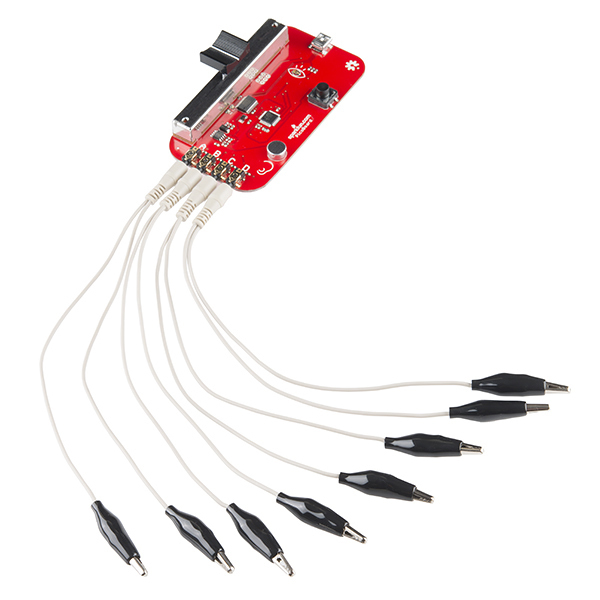 Designed for use with MIT's Scratch - a free programming language aimed at students as young as eight - the PicoBoard allows you to create interactions with various sensors and build simple interactive programs from their input. SparkFun also hosts free online classes and resources so you can dive right in! Meet the SparkFun Video Team! Coming soon: The SparkFun Guide to Processing! Join Us for Costume Hacking!